This is a wonderful soap for men. It is a classic, clean combination of Bay and Citrus oils with a hint of Vanilla. 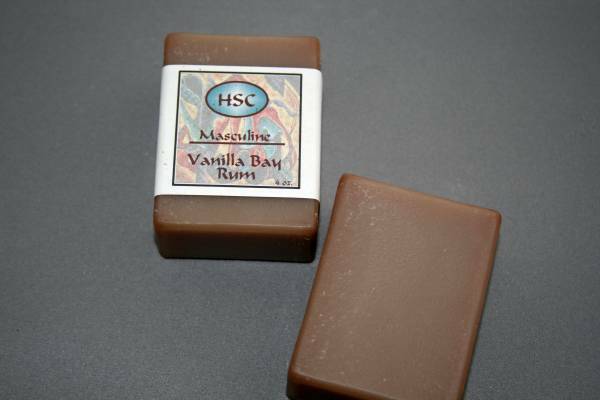 It is superfatted with cocoa butter to enhance its moisturizing qualities. Distilled Water, Organic Olive Oil, Coconut Oil, Organic Sustainably Harvested Palm Oil, Palm Kernal Oil, Castor Oil, Soy Oil, Sodium Hydroxide (Lye), Essential Oils of Bay, Bergamot & Lime, Fragrance, Organic Cocoa Butter, Rosemary Olefin Extract and Vitamin E.